Everyone loves Goldfish crackers--tasty, fun, wholesome treats. 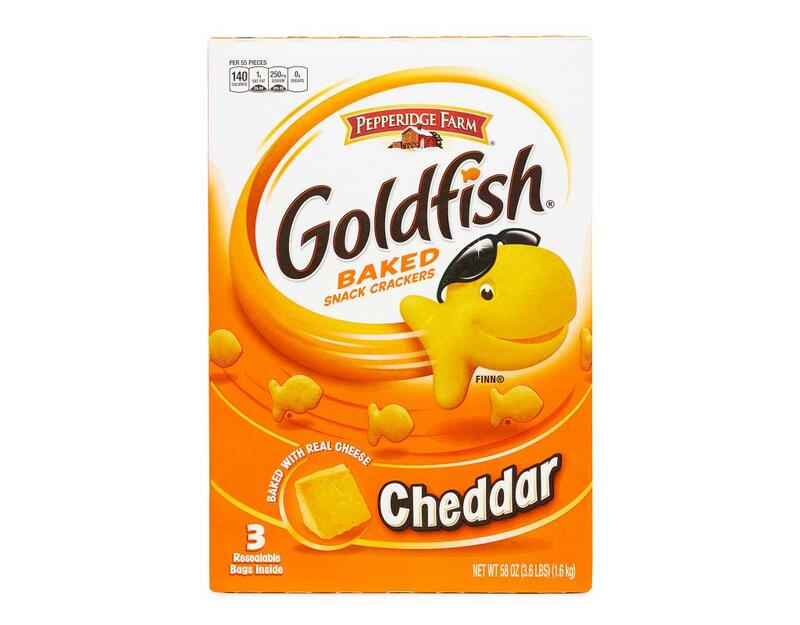 The Snack that Smiles Back. 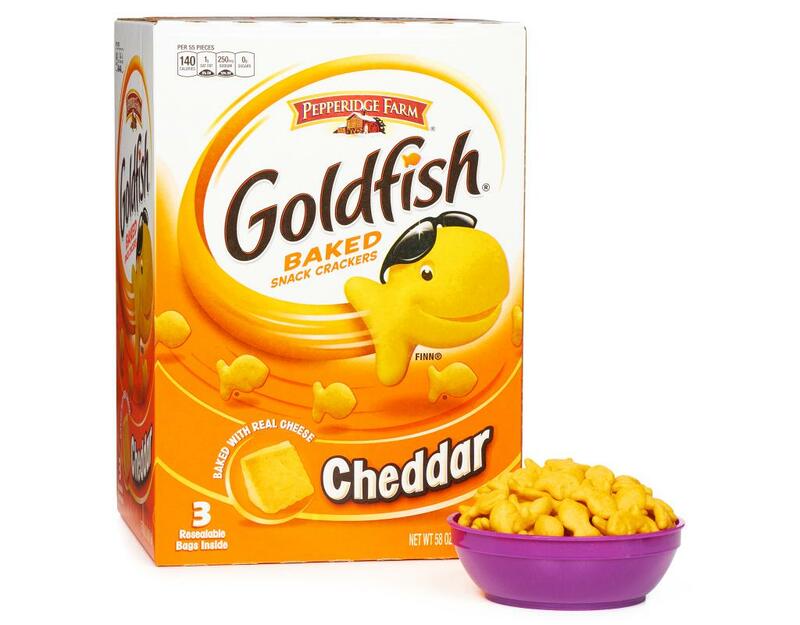 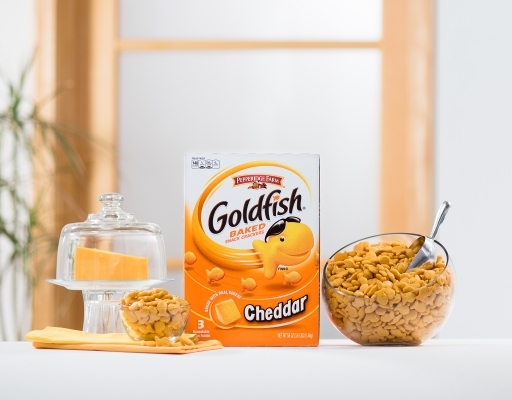 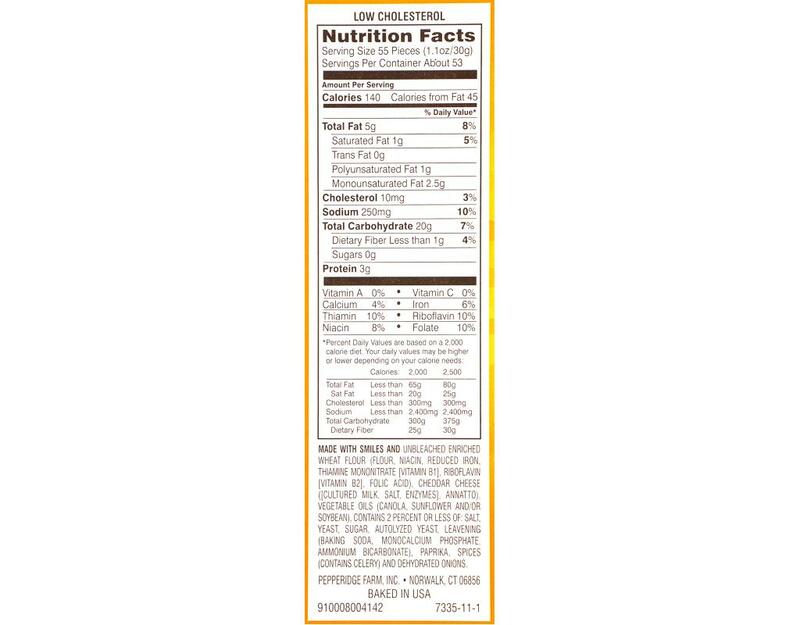 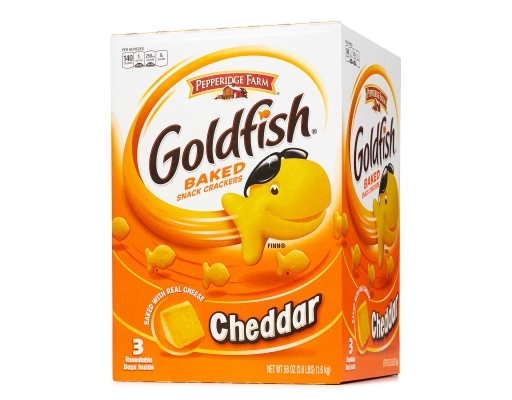 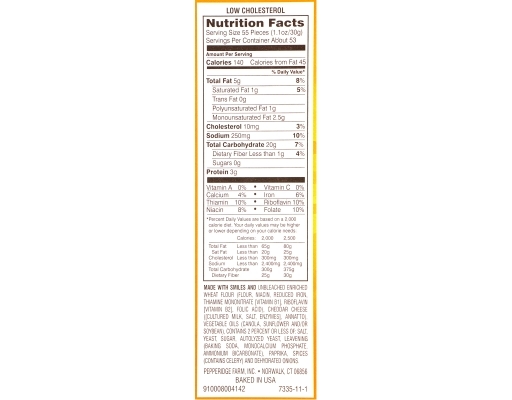 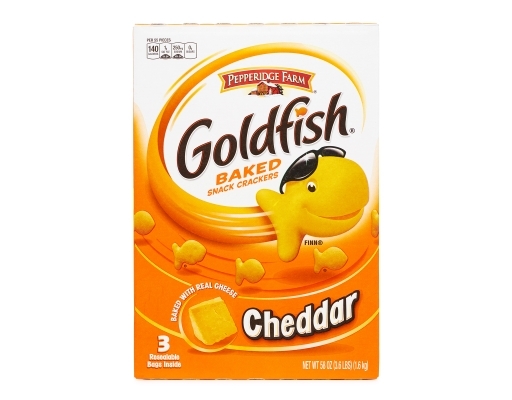 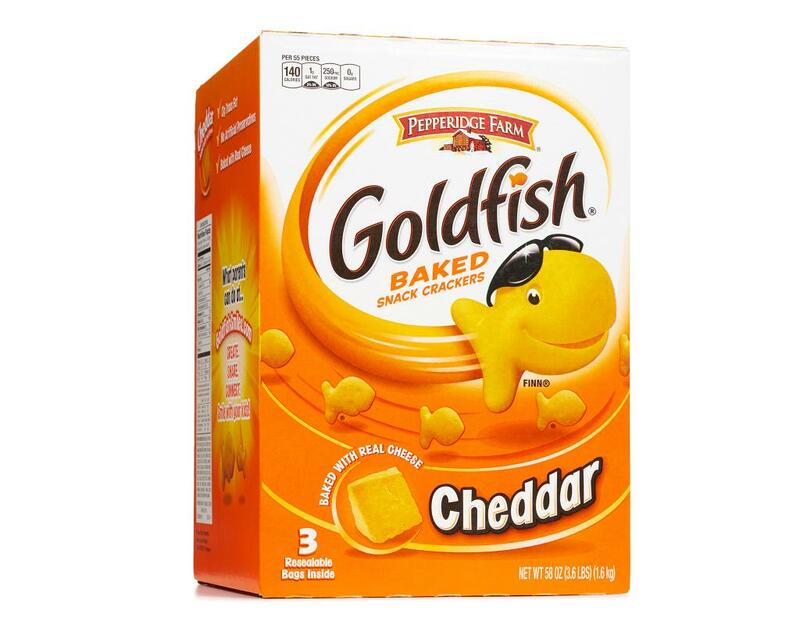 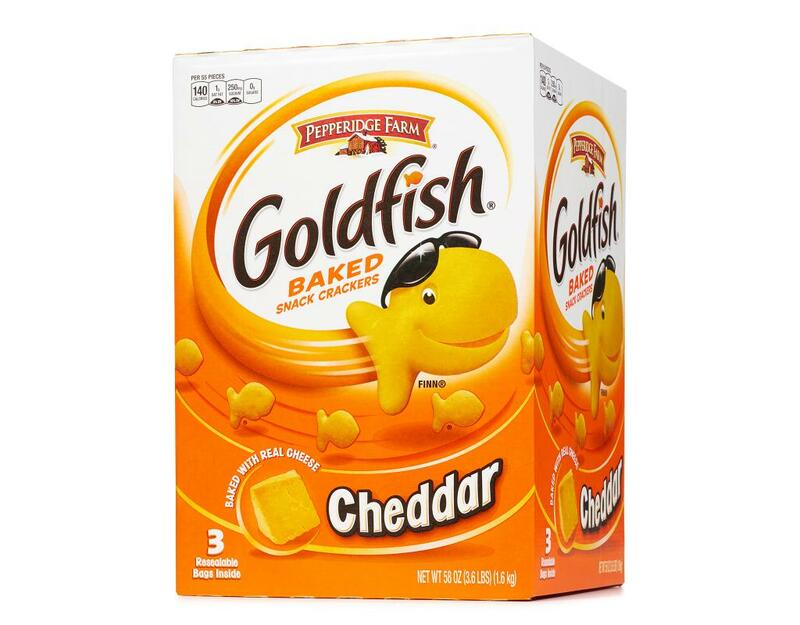 Pepperidge Farm's Goldfish have 0g trans fat, are all natural, have no artificial preservatives and are baked with real cheddar cheese! Keep everyone happy with Goldfish crackers in multi-packs. 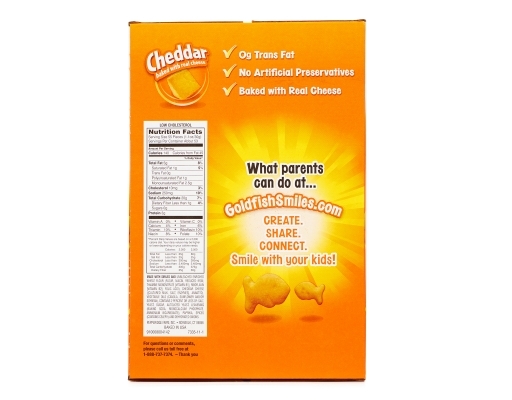 Toss them into lunchboxes, party goody bags or backpacks.